In denial of its public pronouncements, the government appears intent on forcing the UK into a permanent customs union with the EU, using weak economic arguments and bogus claims about the Irish border. In general, it is best to judge any organisation by its actions rather than its words. This is most certainly the case now with the UK government and Brexit. In public, May’s government continues to claim it wants the UK to have an independent trade policy in the future and be outside the EU single market. In reality, it has not been pursuing such an end-state for at least a year. Instead, it has been working to create a situation where all roads effectively lead to the UK staying in a customs union with the EU and staying in large parts – if not all – of the single market as well. To this end, it has been using skewed and misleading economic analyses, scare stories and bogus arguments about the Irish border. The government’s real agenda became clear with the ‘Chequers’ proposals of mid-2018, which made leaving the EU customs union dependent on the ‘facilitated customs arrangement’, a complex and unworkable dual-tariff scheme. As we wrote at the time, there was no chance this arrangement would form a basis for a deal and it looked like an unserious proposal, a façade designed to be dropped in favour of a continued customs union. That analysis proved correct. The WA creates a ‘backstop’ that will kick in if no ‘final deal’ is agreed. This creates a bare bones customs union between the EU and Great Britain, with Northern Ireland effectively staying in the EU customs union and so becoming part of a separate customs (and regulatory) territory to the rest of the UK. There would be no route for the UK to leave this backstop customs union without the EU’s agreement (the proposed arbitration process does not provide such a route, as the government’s own legal advice makes clear). 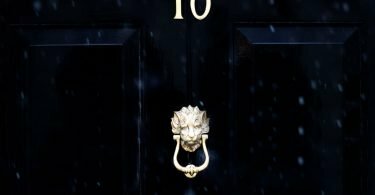 The UK government insists the backstop is unlikely to be needed, as an alternative ‘final’ trade deal will be agreed. However, the political declaration makes it quite explicit that such an alternative deal would also involve a customs union. It calls for trade arrangements that will build on a ‘single customs territory’ and ‘obviate the need for rules of origin’. While the government continues to claim otherwise, these conditions are only possible in a customs union – and the EU will certainly insist on that. This a fact many UK politicians and commentators do not yet seem to have grasped. What if the WA fails to be ratified? There are a couple of alternative plans waiting in the wings, both of which, yet again, involve the UK staying in a customs union with the EU. The first is sometimes termed ‘Norway plus’ and sometimes ‘Common market 2.0’, both of which are deliberate misnomers. These involve the UK remaining in the EU customs union (which Norway is not) and signing up, with no say, to all EU single market legislation (so not a ‘common market’ at all, but rather the EU market). The second is the opposition Labour party’s policy which is ‘customs union with a say’ and also, apparently, signing up to all EU single market rules (though the details on this latter point vary). This is perhaps the most unrealistic of all the options. The chance of the EU agreeing that a non-member would have co-determination rights over EU trade policy is minimal. 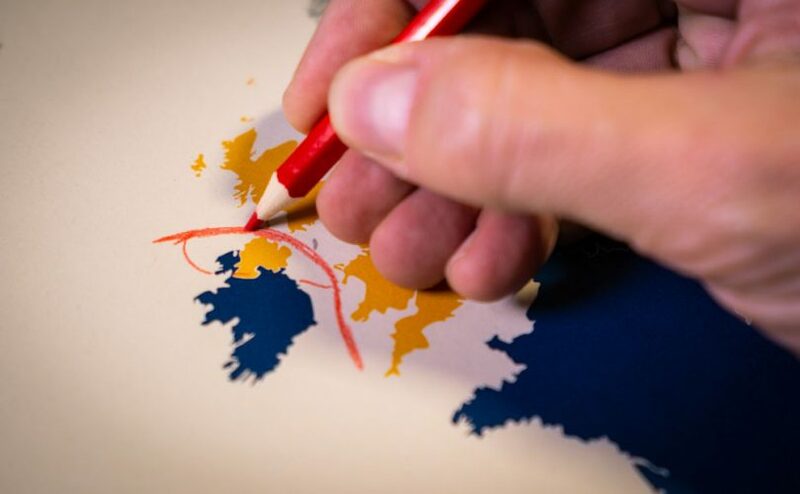 Co-determination on regulatory matters was denied to the non-EU EEA states (Norway, Iceland and Liechtenstein) in the early 1990s and would certainly be denied to the UK on regulatory and trade matters now. The best the UK might hope for is some kind of right of consultation, again no more than a fig leaf. Also being discussed is the so-called ‘Malthouse compromise’ which appears to open a route to the UK leaving the customs union, albeit perhaps with a longer transition period (in which the UK would remain in it). However, it is far from clear that the government is genuinely interested in this alternative approach and the EU certainly seems set against a large-scale renegotiation of the WA, which this approach would require. Why is the UK government so intent on keeping the UK in a customs union with the EU? As we laid out in detail last year, it is hard to imagine a more suboptimal policy. 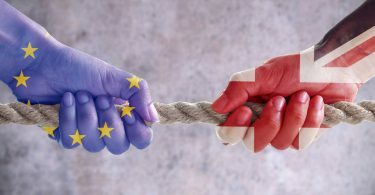 Staying in a customs union, which would also come with onerous ‘level playing field’ clauses on state aid, the environment, labour laws and tax rules, makes realising the potential benefits of Brexit impossible – it means no free trade deals with third countries and minimal scope for regulatory divergence to boost UK productivity and competitiveness. Staying in a customs union with the EU would also mean ‘trade defence’ measures such as anti-dumping tariffs would be run by the EU with no UK say. The EU uses such measures frequently and could force the UK to impose punitive tariffs on third countries, damaging UK industries importing goods from those countries and also potentially creating diplomatic rifts with those countries. Customs union supporters within the UK government and opposition parties claim it would allow ‘frictionless trade’ to continue with the EU. But this is simply untrue. It is correct that a customs union would mean no tariffs for UK exporters to the EU. But average tariffs are low at only about 3% and it would not eliminate non-tariff barriers, including customs paperwork, which are often higher than tariffs. Indeed, astonishingly, the proposals for the ‘backstop’ customs union require UK exporters to have a paper movement certificate to ship goods between the UK and EU, stamped by HMRC. This archaic system would be costly especially for smaller businesses and create delays in shipment. The costs and delays created by these certificates would be likely to be worse than under WTO rules, which do not require them. The UK government also continues to fan scare stories about chaos at UK ports. These stories are wildly exaggerated and increasingly at variance with real-world developments. The additional checks at ports either side of the channel, even in the event of a WTO -based Brexit, would be very low. Currently, UK, Irish and French customs check only 1-3% of goods entering from outside the EU and most of these checks are minor. This rate of checks could be much lower for UK-EU trade, given the low associated risks, and could easily be accommodated away from ports themselves to avoid congestion. The UK government itself, meanwhile, has talked of waiving checks entirely for a period, thus contradicting its own claims about extra checks causing congestion. Finally, the UK government continues to claim that a customs union would help ‘solve’ the Irish border issue. This is probably the most bogus argument of all. The Irish border is a thinly populated area with low and largely predictable cross-border trade volumes. If the Irish authorities were to deploy their 1% checking rate used for non-EU imports for cross-border trade, this would amount to checking perhaps 30 trucks per day (on the Irish side). And the actual number could be much lower as the risk-based checking rate on such trade could be very low. Based on this kind of reasoning, the Irish revenue commissioners themselves have argued there would be no need even for customs checking facilities away from the border (which were previously mooted). There is also now an abundance of evidence that intelligent use of existing customs and regulatory processes can render the Irish border very ‘soft’ indeed. Swedish customs expert Lars Karlsson has now testified several times to this effect. Dutch customs expert Hans Maessen has done likewise, going as far to describe the Irish border issue as ‘fictitious’. So, what are the UK government’s real motivations? It is hard to escape the conclusion that it wishes to remain in a customs union and with high alignment to EU single market rules primarily for political reasons. The government has certainly been influenced by some corporate lobbying, for example from the auto industry. But more broadly, remaining a part of the EU’s trade and regulatory systems would make it easier, at some point in the future, to engineer the UK’s re-entry into the EU.